Last week I attended a special pre-screening of Bill Cunningham New York courtesy of FASHION Magazine, the Globe and Mail and Holt Renfrew. A fashionable friend of mine won tickets and invited me as her guest. (Thanks Dee!) 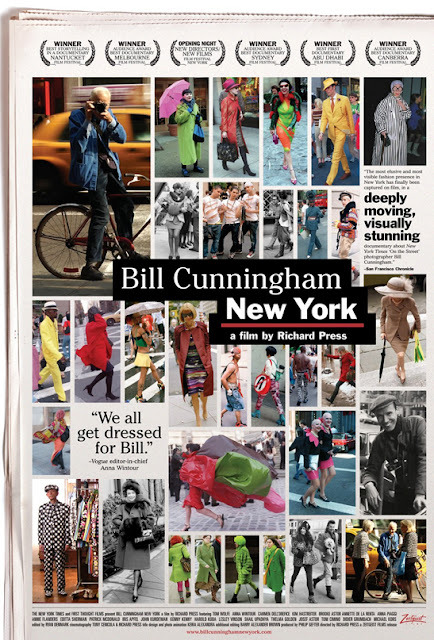 After watching the trailer, not only was I intrigued but I had a grand realization: I've "met" Bill Cunningham before. Please let me apologize for my ignorance in advance. 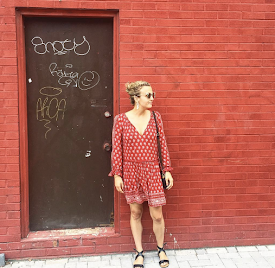 When I was in Paris, I was so hopeful to catch a glimpse of Scott Schuman because I narrowly thought he was the most famous street style photographer of my time. However, while watching editors fly by to enter the show, I noticed this man, old enough to be my grandfather, wait for his turn to enter with his black invitation. I watched as the man paused in front of this diva of a boy, who was dressed to the nines with some feather ensemble yet wouldn't crack a smile for anyone. As soon as the man snapped his photo, the kid let out the warmest grin. The moment was so fantastic that I couldn't stop talking about it after. I had no idea who this adorable old man was but I appreciated his presence in a sea of stereotypes. It was only after seeing the trailer that it all clicked. It was Bill! Bill Cunningham is the "original" street style photographer. The documentary focuses on his life as a photographer for the New York Times, while lending a view into his world as a genius, a recluse and a pioneer of his craft. The film is visually gorgeous, but Cunningham's story and kind character is what draws viewers in. Well into his eighties, Cunningham keeps on his bicycle with an eye and hunger for fashion that is both rare and genuine. The film will leave you asking many questions about what it means to live a life fully passionate about something. I'm not going to give away too many details of the film, but I did talk to my sister for an entire hour afterward. Watch the trailer and go check it out, you won't be disappointed. who needs a kitchen and a bathroom?! haha best line of the movie!